Perhaps you garden because you love growing your own produce or take pride in your prize-winning roses. Or maybe you just love playing in the dirt. Whatever the reason, soil plays a big part in how healthy your garden is. Before planting any more spring or summer crops, give your soil a checkup and perform a soil test. 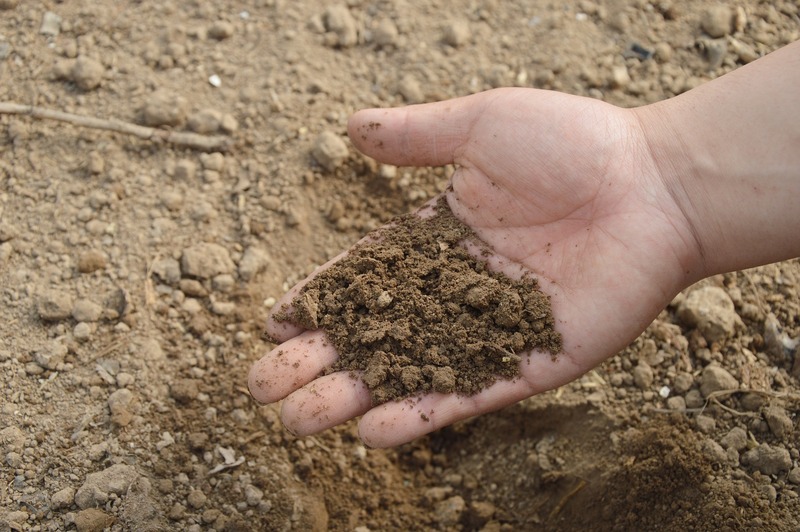 All you need to do is grab a handful of soil and examine it. Send it off to your local extension service. Or get down and dirty, and DIY it. Here's how to perform a soil test. Soil tests measure the nutrients available to plants along with their pH level. Start with the basics. Garden soil should be between 6.0-7.0 pH, while the ideal pH for grass is 6.5-7.0. Low pH? You've got sour, also called acidic, soil with a pH level under 7. Before remedying, remember some plants like this! Raise soil pH levels by adding Espoma's Organic Lightening Lime. Looking at your soil test, your head may start spinning. What do all those numbers mean? When to N. The "N" on your soil test stands for nitrogen, which helps leaf growth. To raise nitrogen levels, add an organic fertilizer with a higher nitrogen level. Or, use blood meal or fish meal. To lower nitrogen levels, choose a fertilizer with less nitrogen. Be the P. "P" represents phosphorus, which helps plants flower and grow fruit. Need more phosphorous? Use an organic fertilizer with a higher percentage of P. Or, add bone meal. To lower phosphorous numbers, cut back on the P on the fertilizer bag. Way of the K. "K" stands for potassium, which helps plants resist diseases and grow healthy roots. If you have too much K, use an organic fertilizer with less potassium. Likewise, if you need more, opt for an organic fertilizer with a higher number K. Or, add sulfate of potash or greensand. Strong, healthy soil contributes to stronger, bigger and better plants.